Hurry up! 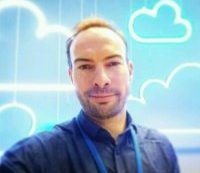 Free RedHat course RH024 – Antonio Feijao, Antonio AWS, Antonio Cloud, Feijao UK, AWS Cloud Solutions Architect, Open source, Python, Amazon Linux, Ubuntu, CentOS, Redhat, Linux, Networking, Cisco, Firewall and IT Cyber Security passionate! although if you already have good knowledge is still good for a”refresh” knowledge, check my notes below for example. I liked in particular the booting process explanation and the System Startup Processes which explains the differences from Redhat 6 and now the systemctl on Redhat 7. You have to register yourself to have access to the course content. If you do, I hope you enjoy it. Why Do IT Professionals Need Experience with Linux? Why Does the Open Source Development Model Matter? What is the Shell and How is it Used to Control Programs? What is the Linux Kernel and What is User Space? How Do I Manage Software in Red Hat Enterprise Linux? How Do I Configure Networking from the Command Line? How Do I Control System Startup Processes? How Do I Learn More About Linux? Previous How many CPUs or Logical CPUs are on my MacOS ?